The Vizio Co-Star VAP430 made a big splash when it was unveiled to the public during the 2012 CES. With the buzz around the VAP430 having been maintained right through the first half of the year, the time has now come to officially open the pre-orders. 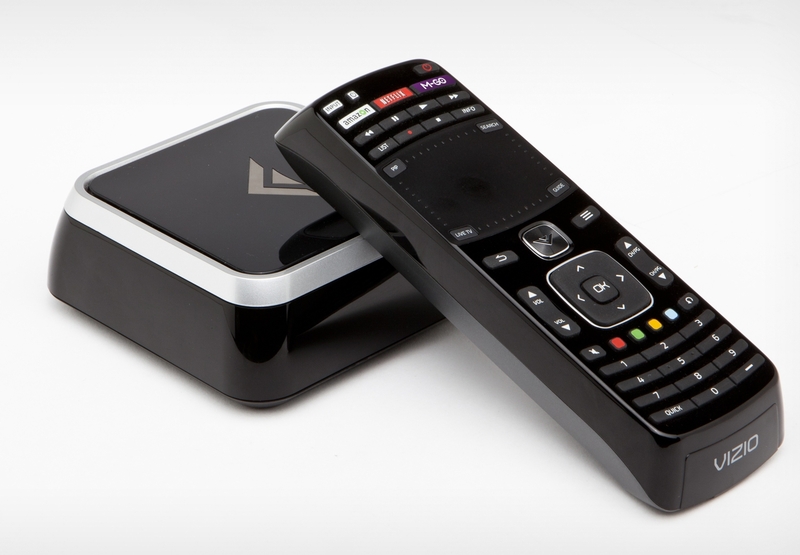 The unit will initially be available for order through Vizio's own online store starting today. The cost of the unit is $99.99 with free ground shipping while supplies last. As of press time, it appeared that the units would ship out starting on August 14th. Each order was restricted to a maximum of 2 units. The low price point (almost a third of what the original Google TV Logitech Revue's price) may well serve to popularize Google TV this time around. 3D capability is an addition, but we believe that fad has run its course. However, the addition of OnLive gaming services is definitely a hard-to-ignore positive selling point. The size of the Bluetooth remote (with a mini keyboard on the back and touchpad capabilities) is also amenable to the modern-day living room, unlike what we had last time around with the Revue. Being an officially sanctioned Google TV device, Google Play Store access is available. Google TV's official guidelines call for continuing to inter-operate closely with the consumers' existing STB / DVR infrastructure. With a HDMI input port capable of overlay operations, the Vizio Co-Star fulfills the requirements. The full specifications of the VAP430 are available here for your perusal. The vast majority of media players in the Google Play Store are poo though, as they only provide software playback for most devices. And that's pretty atrocious given the lack of grunt in mobile devices. That said I'd wager AVI merely being an omission, as I should hope any codec and container that's the default for DLNA streaming would be supported out-of-the-box. I don't know what the fuss is about. At least here, my HTC Sensation can play everything, with the built in player, h/w wise. Yes, even mkv and vorbis stuff. Please include in the unit review how well it does playing high profile h.264 video with some samples of really complex, highly compressed, high quality video. Encoders can use tricks such as CABAC, motion estimation across 32 or more frames, etc. to reduce file size while maintaining high quality. There are also tricks to reduce decoder CPU usage which either make the file larger or make it look worse at the same size. Many embedded players "support high profile h.264", but fail to play complex videos without dropping frames. I'd forgotten about that roundup..